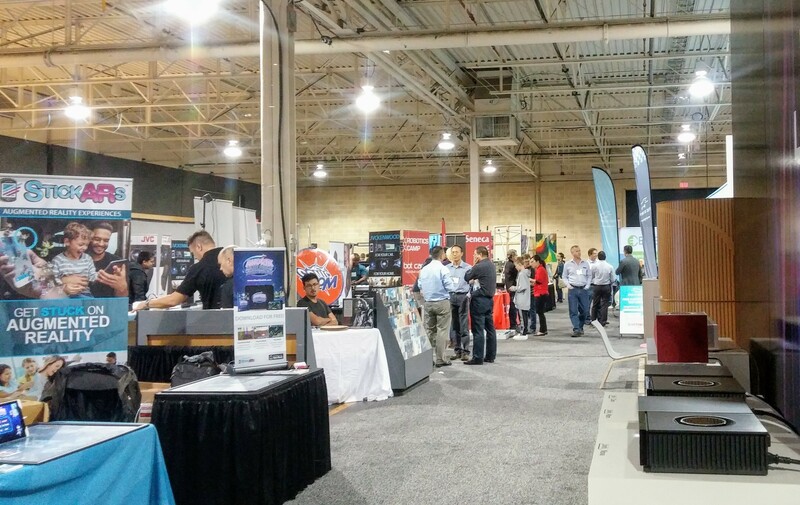 Another year, another venue for TAVES. This time it was the Toronto Congress Center near the airport. The good news is that the show seems to be thriving – it was big, with a lot of different genres of technology to appeal to a lot of folks. 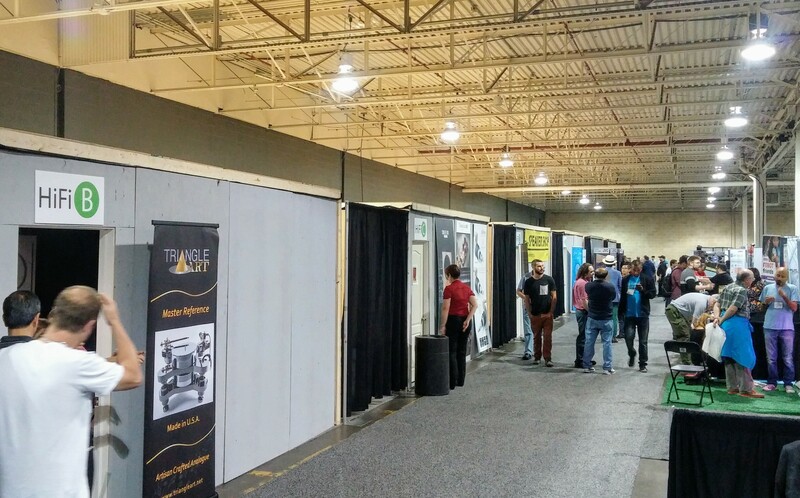 It was even adjacent to the RV show this time, so it was even bigger. 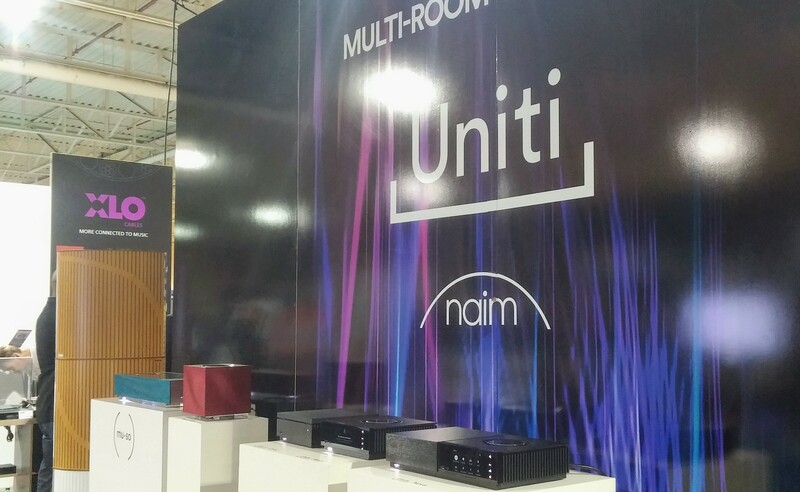 This is good news for TAVES’ as far as its long term viability. VK Music featured kit gear by Elekit, Sparkler and Sun Valley. The speakers are by AudioWise, featuring the 5-inch Voxativ full range driver. 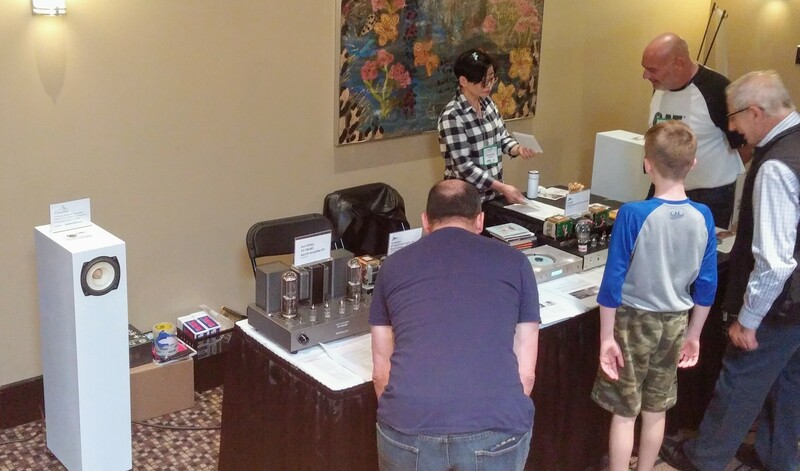 Toronto’s Audio Sencibility had a large assortment of vinyl for sale, as well as their line of cable and connector products. On the hi-fi side, things were more of a mixed bag. 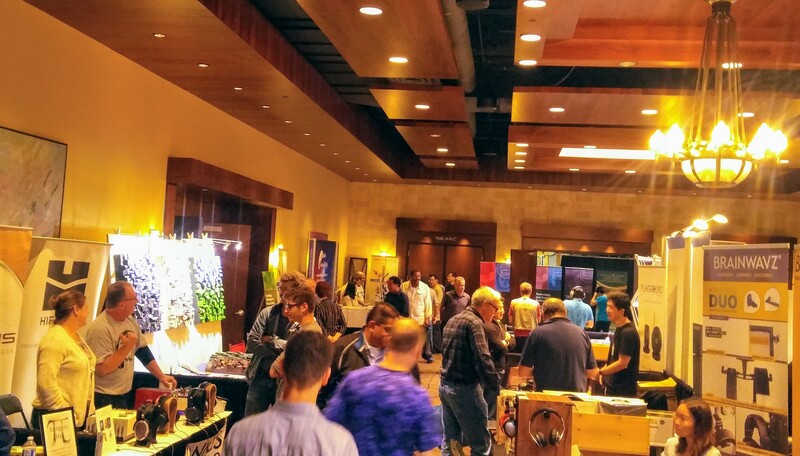 There was a good assortment of headphone audio gear. A lot of vinyl available to buy. 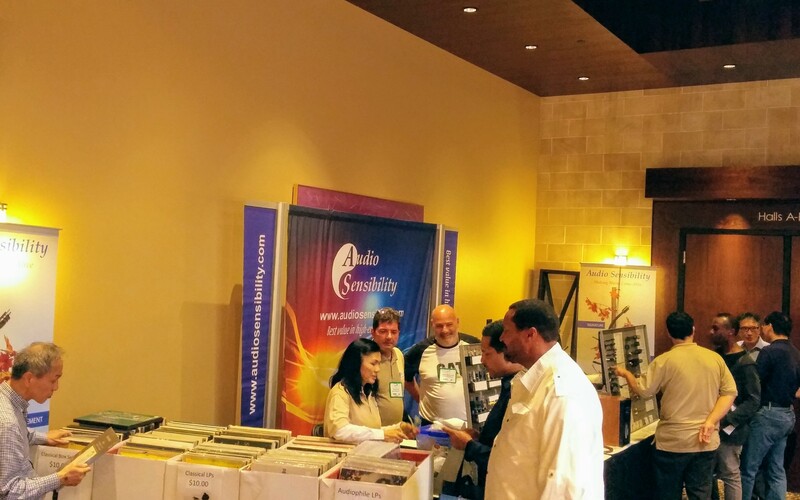 The table displays and rooms were busy (I was only there for the tail end of the show, which wrapped at 4pm on Sunday). 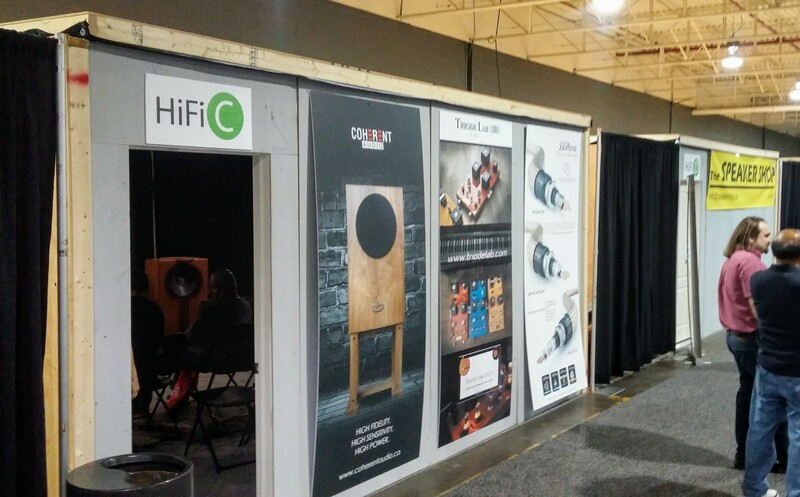 But this year the audio rooms were makeshift shacks – done up nicely with heavy blackout wall and ceiling coverings and decent lighting, but still…shacks. The rooms were uncomfortably warm, especially where tube amps were being run. And although I heard some very good sound, there was also leakage from adjacent rooms, which made demos difficult. I also noticed quite a few “usuals” missing among this year’s exhibitors. The other thing I noticed was a dearth of active analog setups. All in all, an interesting show, and it was great to see some old friends again. Enjoy the pics. 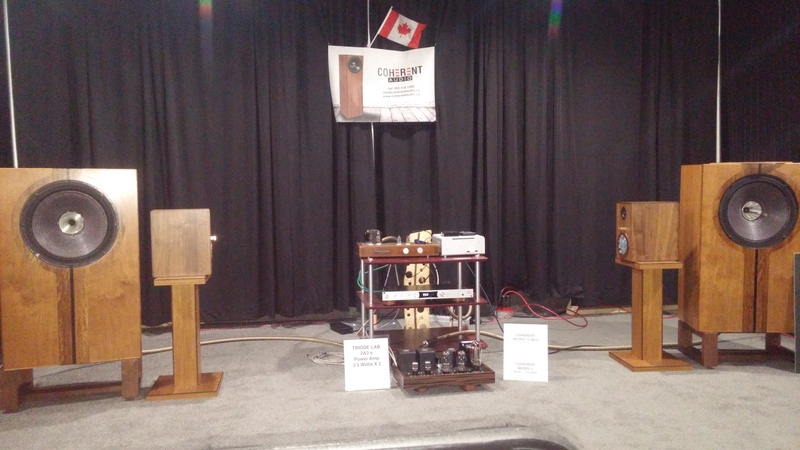 My favourite listening room was hosted by Coherent Audio and Triode Lab. Listening to the big Coherent Model 15GR. Always impressive. 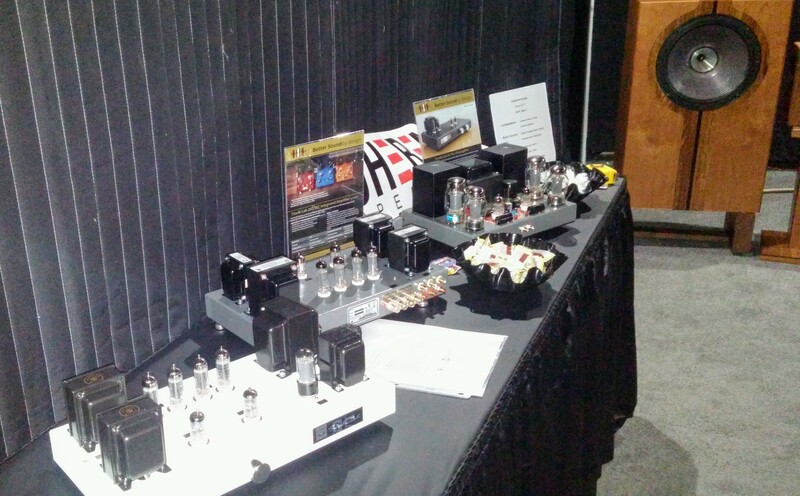 Amps from Triode Lab / Finale Audio. One of several static Plurison displays. They’re always right smack in the middle. The big room had a somewhat “carnival” atmosphere. It was noisy, but fun. 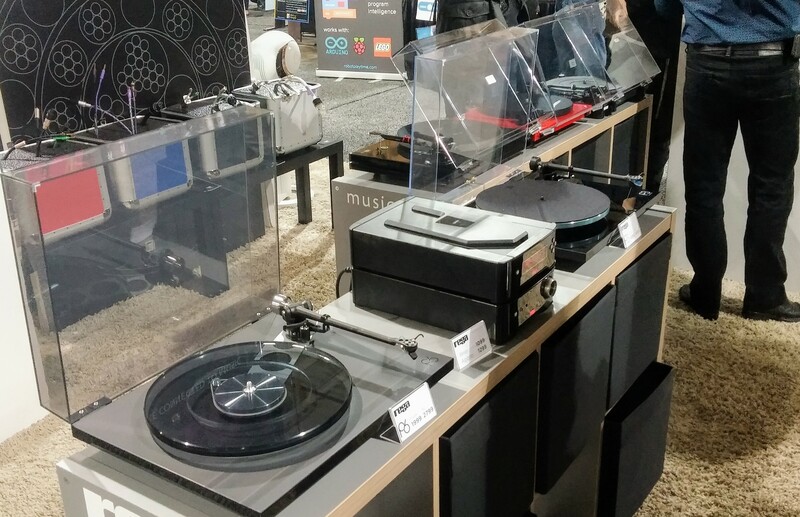 Rega turntables on static display. 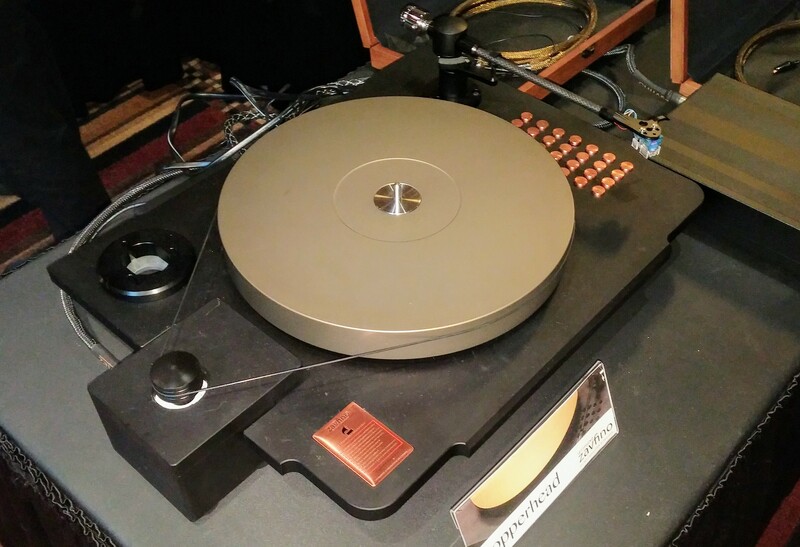 Another lovely but static TT, the Copperhead by Zavfino/1877 Phono.